One day in a quaint little pet store, a cat just suddenly brings havoc to all the rats his eyes laid on. This is the sequel to the bloody mouse mash. Make Fuzzy the kitten bounce on mice and watch as the mice explode in large gushes of blood and guts. In this second of the fuzzy series your back and filled with more anger than ever and seek revenge on the enemy! Shift + Arrow Keys - Run. Shift + Up Key - Kitty Tornado. 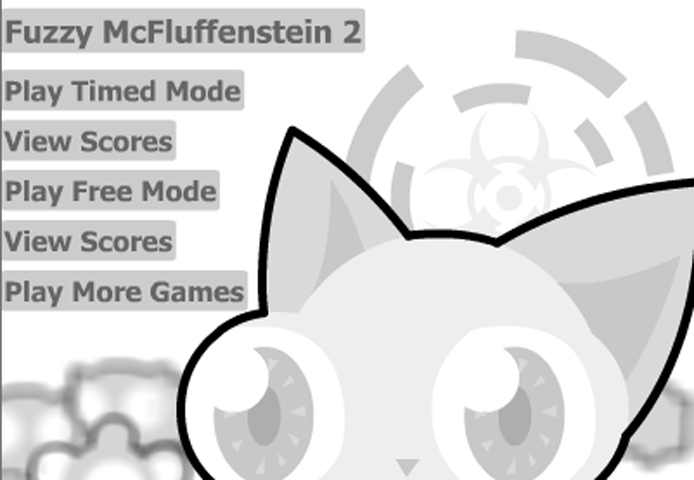 If you want to play Fuzzy McFluffenstein 2 games online you have come to the right place! GamesLoon adds new Fuzzy McFluffenstein 2 games every week. This is your game portal where you can find the biggest collection of free Fuzzy McFluffenstein 2 games online. Do not forget to rate our Fuzzy McFluffenstein 2 free online games while playing!